When agriculture meets the real estate industry, a new type of housing community blossoms. Especially embraced by Millennials, agrihoods are America’s latest kind of neighborhoods. Developers already feel that investing in such projects has helped raise sales rates, absorption and revenues. Community gardens, urban agriculture, or cohousing communities are nothing new. But so-called “agrihoods” certainly are, with developers quickly learning that incorporating healthy food in development projects can pay dividends. The Michigan Urban Farming Initiative, a nonprofit founded in 2011, defines an agrihood as an alternative neighborhood growth model that positions agriculture as the centerpiece of a mixed-use urban development. Residents can not only enjoy regular amenities such as a swimming pool or a fitness center, but also benefit from healthy food coming from their own community and their own hands. Particularly appealing to farm-to-table-loving Millennials, agrihoods cannot only bring residents together and raise their sense of community, but also promote sustainable living by adding farms, trails and preserving the natural habitat. According to the Urban Land Institute, there are currently some 150 agrihoods in the U.S., with more under construction. Many of these developments are just minutes from humming metros such as Atlanta or Phoenix, or even incorporated in the large cities such as Detroit. Apart from adding authenticity, this low-cost amenity is something that potential residents instantly fall in love with. Community food-growing areas can add value to residential and mixed-use developments at little cost. Back in the 1990s, golf communities made multifamily developments highly prized. Baby Boomers were particularly attracted to amenity-rich communities with green spaces and views. But for developers and property managers, golf courses were pretty expensive to build and maintain. Nowadays, golf courses are being transformed into farms, making these communities appealing to Millennials who don’t have to trade in the city for sustainable living. The growing interest and awareness in fresh, local food is also spurring innovation in development projects. Partnerships among developers, nonprofit organizations, public and private sector institutions can support larger projects that allow wellness clinics, food co-ops and nutrition and cooking education programs to be included in residential and mixed-use developments, with the goal of improving local health outcomes. Urban Land Institute’s research “Cultivating Development: Trends and Opportunities at the Intersection of Food and Real Estate” outlined the undeniable role that food plays in social interaction and the creation of community ties. Developers, owners, property managers, designers, investors and public officials can use food-based strategies to enhance project marketability and developer returns by creating dynamic places where people eat together, buy products directly from local food purveyors, or grow different fruits and vegetable in community gardens. Moreover, food-based businesses such as restaurants, food halls, grocery stores and farms are adding value to real estate developments. Agrihoods provide residents with fresh vegetables, educates them about sustainability and even gives them the tools to grow their own food. Many Americans have already embraced this style of living, especially the ones that have large families and want to help their children become responsible, healthy adults. One of the largest agrihoods in the country is Rancho Mission Viejo, a development partnership between managing partner Rancho Mission Viejo and DMB Associates. The property includes approximately 17,000 acres of open space preserved as The Reserve at Rancho Mission Viejo as well as roughly 6,000 acres of residential and mixed-use development. The first village on the ranch is Sendero, which includes two communal farms and 941 homes. Esencia, the second village, includes a communal farm, several single homes and 262 rental apartments. ARIA is another ambitious project that focuses on residents’ health. Co-developed by Urban Ventures LLC and Perry-Rose LLC on an 18-acre site in Denver, the property includes a production garden, a greenhouse, 72 affordable apartments and 13 townhouses. 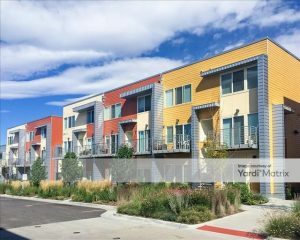 Denver also boasts a mixed-income housing redevelopment project that is transforming a public housing project into an agrihood, dubbed Mariposa. Developed by the Denver Housing Authority with a planned total of 800 units, the project provide residents the opportunity to grow and eat fresh produce. New York is also keeping pace with this trend that fosters community interaction. Located in the Bronx and developed by Blue Sea Development Co., Arbor House is a 120,000-square-foot building with 124 units of affordable housing. The development includes a rooftop farm that encourages residents to grow and eat healthy fruit, vegetables and herbs.